Shortening of the construction period was attained compared with the conventional paint. 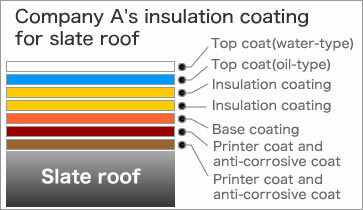 Usually, it is although paint also performs many-fold two coats or has constructed it using the paint of deep concentration, The ADGREENCOATEX only applies and piles up two kinds. It is a paint with the economic effect which was excellent compared with the conventional type.